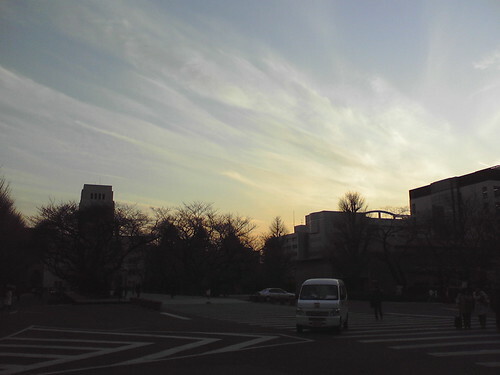 Tokyo Institute of Technology at sunset with a nice fan of clouds. This entry was posted in Photos, Travel and tagged clouds, Japan, photo, TiTech, Tokyo. Bookmark the permalink.